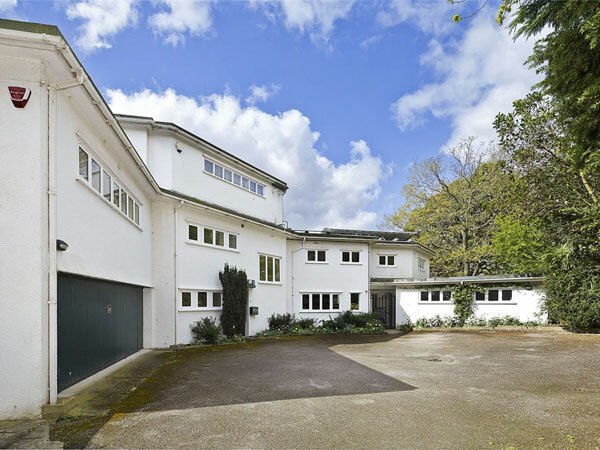 How do you fancy waking up in an iconic grade I-listed modernist icon each and every day? 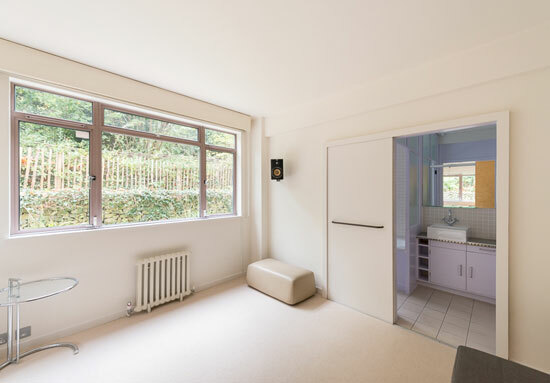 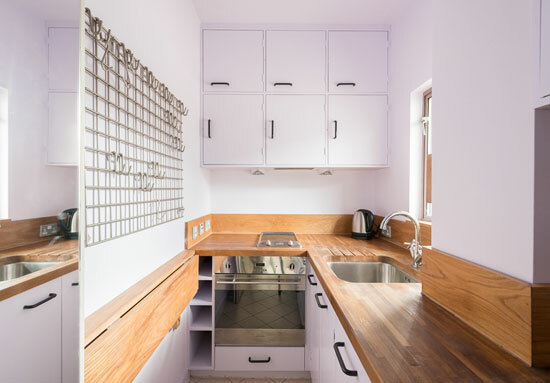 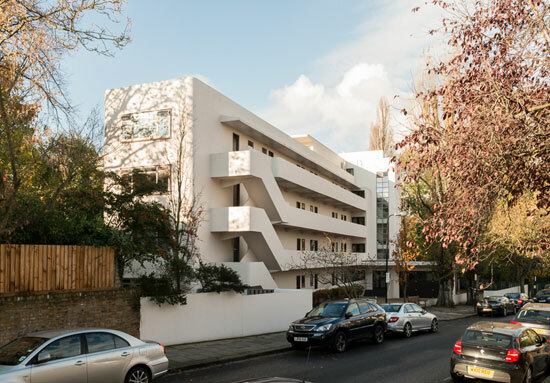 You can if you invest in this one-bedroom apartment in the 1930s Wells Coates-designed Isokon Building, London NW3. 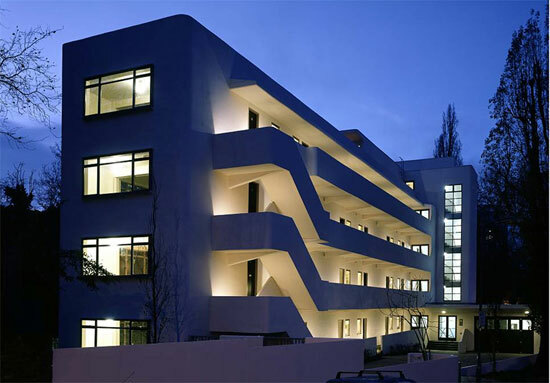 One of the finest Modern Movement buildings in the UK, it was designed by Wells Coates back in 1934 and was the first block ever to be built primarily from reinforced concrete. 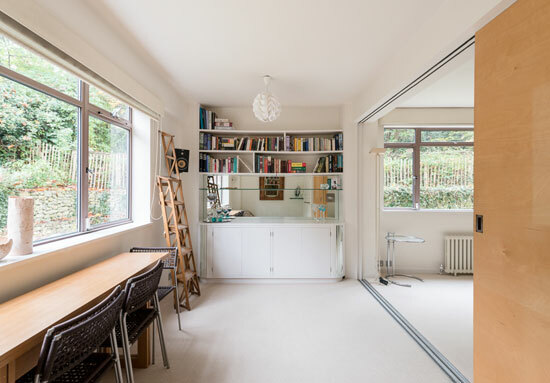 Quite a colourful past too, with previous residents including Agatha Christie, Marcel Breuer and Walter Gropius. 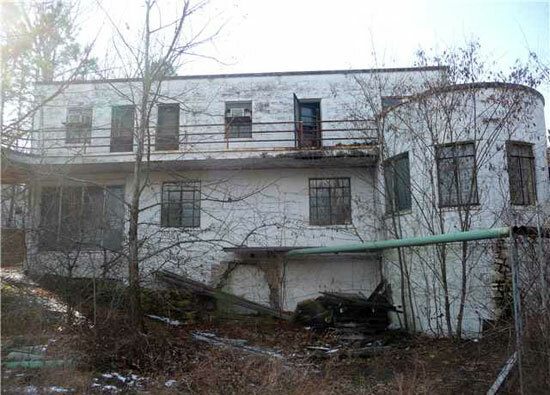 That was then, but this is now and on the face of it, not a lot has changed. 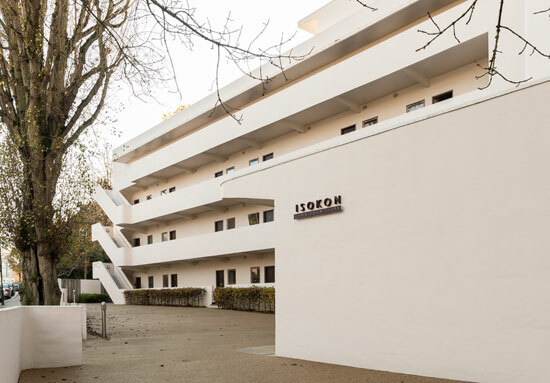 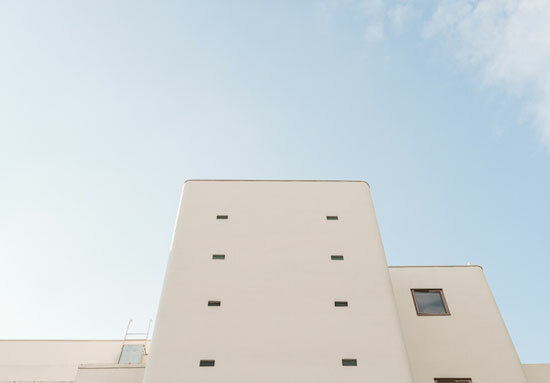 That[s perhaps down to the renovation work undertaken back in 2004, which really has brought the Isokon back to life. 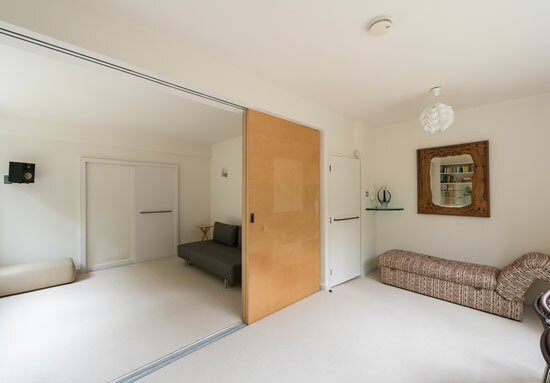 On offer right now is just a small part of it, a ground floor apartment (with its own front door) and very much a blank canvas, with the place maintained in a good condition and with original features, such as the original sliding doors, for example. 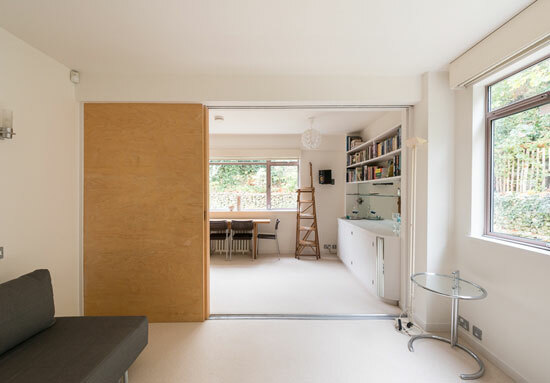 Space isn’t exactly extensive, but if you need something modest, everything is here. 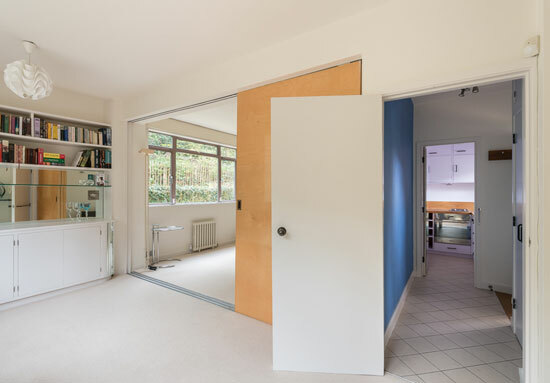 That includes an entrance hall, a galley kitchen (which might be a tight squeeze if more than one person is using it), a south-facing reception room and the bedroom, which can be opened up or closed off. 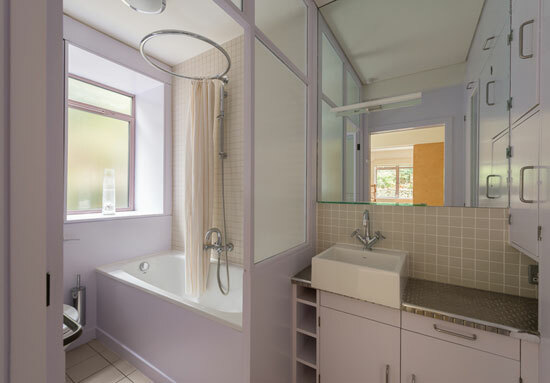 The bathroom finishes off the layout. 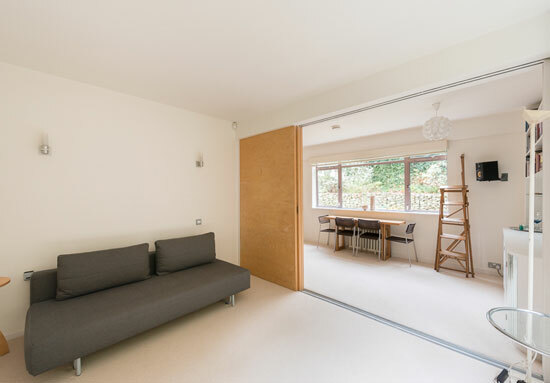 You also get access to the communal garden and patio. 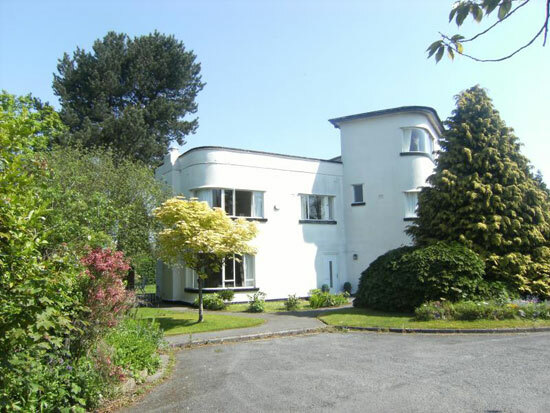 £485,000 is the asking price.